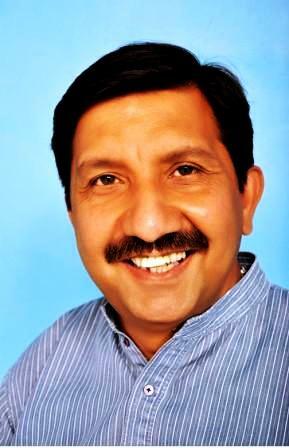 Mukesh Agnihotri, Industries, Labour & Employment and Information & Public Relations Minister has ridiculed the statement of Prem Kumar Dhumal and other BJP leaders appearing in a section of press questioning the achievements of the present State Government. Terming the statement of the BJP leaders as an outburst of frustrated and dejected politicians, Agnihotri said that they were baffled by the historic and farsighted decisions taken by the State Government during this short period of three and a half months. Shri Agnihotri said that the Congress Government was fully stable and Shri Dhumal needs not to worry about its future. Counting days would not help him as the Congress Government was there to stay for a much-much longer time than his counting would take him to. He said that the statement of Shri Dhumal only reflected his lust for power. He has not come out of the shock of his party's loss in the Assembly elections and was making lame excuses for the dismal failure of his Government. The people of the State were wise enough to oust the BJP in the Assembly elections and the BJP would meet the same fate in the General Elections, he asserted. He said that the present State Government under the Chief Ministership of Shri Virbhadra Singh during the short period of over three and a half month had taken some major decision which would go down in the annals of the State as major milestones. He said that the decision to provide Skill Development Allowance to the unemployed educated youth for their skill upgradation was one such decision which has flummoxed the BJP leaders. He said that the State Government has provided free traveling facility to all the school students in State from home to school and back. He said that social security pension has been enhanced from Rs 450 to Rs 500 per month and all the pending cases of social security pension have been approved from April, 2013, thereby benefiting thousands of needy. Maintenance and repair of roads has been given top priority and work initiated on all major roads. Taking a dig at the BJP leaders, he said that the 'Dhritrashtras' would not be able to see and appreciate the developmental measures initiated by the Congress Government. Industries Minister said that it was Shri Prem Kumar Dhumal who had started the wrong tradition of changing the names of various scheme during his last tenure and now when the names were being reverted back, he was making unnecessary hue and cry. He reminded Shri Dhumal that it was the BJP Government which had changed the names of many schemes such as Rajiv Awas Yojana to Atal Awas Yojana, National Ambulance Scheme to Atal Sewa Yojana etc. It was the BJP Government which tried to take credit of Central schemes and lied to the people and cheated them. He said that Shri Prem Kumar Dhumal had done this with an ulterior political motive. Shri Agnihotri said that the people of the State had suffered a lot due to the misrule of previous BJP Government as nepotism was the order of the day and rampant corruption had prevailed at all levels. He said that the BJP Government in its bid to win the elections had made large scale announcements and implemented decisions in haste in the last year without any budgetary provisions. Now the Congress Government is cleaning up the mess created by the BJP. He said that now when the Congress Government has put the developmental process back on the track, the BJP leaders were trying to mislead the people by indulging in malicious propaganda. He said that since the three and a half month tenure of the present State Government was proving more worthwhile than the full five year term of the BJP, their leaders were perplexed and giving such unsubstantiated statements. Industries Minister said that the BJP leaders during their regime were busy in phone tapping and pinning down their political adversaries. He said that over 1300 phones were tapped during the tenure of BJP and even their own leaders were not spared. He said that this speaks of the vindictive attitude of BJP and their political hypocrisy. He said that shady land deals and benami land transactions during the BJP regime were being probed and all wrong doings would be exposed shortly. He said that it seemed that the wrong doings of BJP leaders were haunting them and they were issuing statements in panic out of fear and frustration. BJP leaders should wait for some time and not draw any premature inferences, he added.He said that the allegations of mass scale transfers were a farce and the BJP leaders were giving concocted figures to mislead the people. Transfers were being done in public interest on administrative grounds only. Congress Government would not work with vindictive attitude and development of the State and welfare of the people would always remain the prime concern of the State Government, he asserted.